If you are wondering whether you should invest in a TFSA or RRSP, you are not alone. This is one of the most common questions financial advisors are asked. Both investment opportunities have their own advantages and limitations. What kind of investment opportunity is ideal for you depends largely on your financial situation One option might be better than the other considering your unique situation. 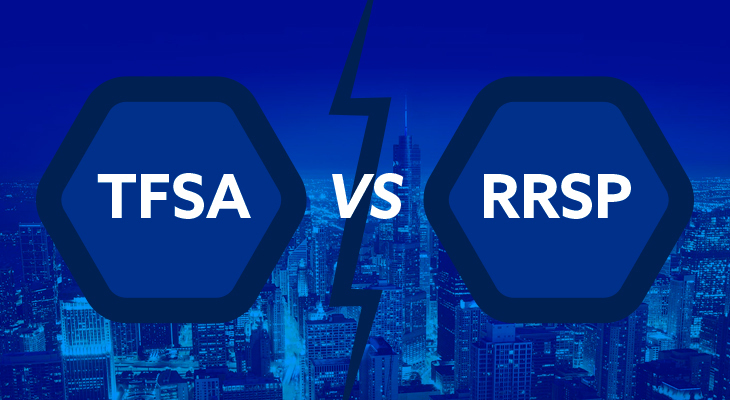 RRSPs and TFSAs are both investment opportunities that offer tax advantages. If it is within your budget, you should use them to reach your savings goals. A good approach is to contribute to both as much as you can. However, if you are planning on choosing one over the other, make sure you are well aware of the difference. RRSPs can be attractive in terms of greater tax benefits under the right circumstances. However, the idea that you have to pay income taxes when you withdraw money makes RRSPs less flexible. TFSAs, on the other hand, may not be as attractive as RRSP in terms of tax benefits. However, there are no tax consequences when taking money out of a TFSA account. As mentioned earlier, RRSP contributions are tax-deductible. For example, if you earn $100,000 this year and contributed $10,000 to RRSP, you are likely to be taxed as if your annual income were $90,000. However, you will ultimately pay the tax since RRSP withdrawals are taxed. The RRSP withdrawals are taxed at a lower rate if your income is lower near retirement than through your working years. One of the most important considerations when contributing to RRSPs is that your tax bracket should be high and that you should withdraw the savings when your tax bracket is low. When a person invests to achieve something (vacation, car, wedding, home, etc,) sooner than retirement. When you invest for retirement while making more than $50,000, but your salary is likely to go up. In this case, you can use RRSP contributions later when you will go through a higher tax bracket. If you think RRSP is the best option for you, try to maximize your RRSP contributions to secure a large tax refund and have that fund contributed towards TFSA. A balanced and considerate combination of a RRSP and TFSA will provide you with long-term financial benefits and make your retirement financially stable. If you are not sure what investment or saving channel is right for your financial situation, contact Kewcorp Financial. Kewcorp Financial provides expert advice on all types of financial matters. Whether you are planning to save for retirement or need to lower your taxes, we will be happy to assist. Contact us today to streamline your financial matters!